Whether it’s Artic cold, drifting snow, treacherous ice or deep slushy puddles, the Sorel Caribou is up to the challenge. Simply put, these boots just make winter weather irrelevant to the comfort of your feet. As a father of two young children, hibernating during bad weather is no longer an option for me. 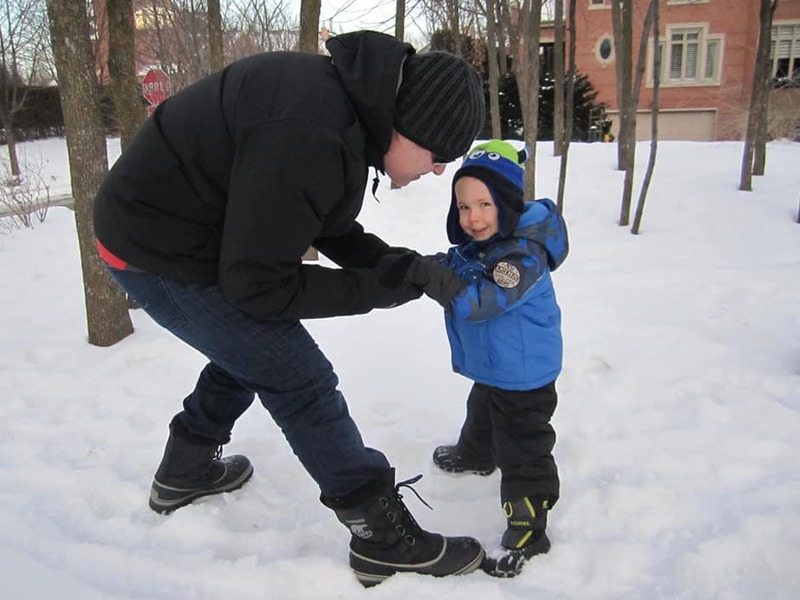 Kids need to get outside, and they never seem to get cold. So after enduring the last few winters in light duty boots, I decided to end my suffering and get the best protection I could find. I didn’t want warm and dry – I wanted warmer and dryer than I’d probably ever need. After trying out a variety of models, I settled on the Sorel Caribou and I have not been disappointed. To me, they are “the” quintessential winter boot. Warm, waterproof, and high enough keep out deep snow. Montreal winter has put this boot to the test in every condition imaginable, and so far it has passed with flying colors. 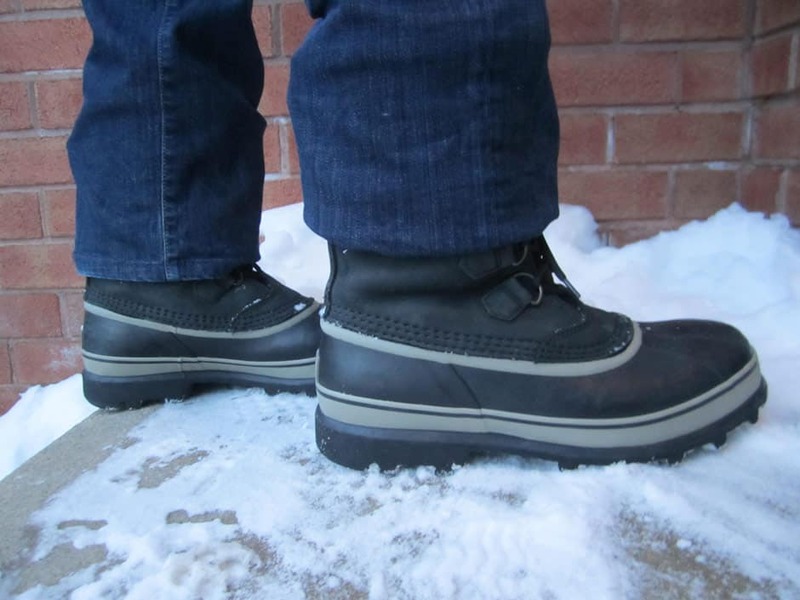 These boots are insulated with a 9mm “ThermoPlus” felt liner, and Sorel comfort rates them to -40C. I’m happy to say I’ve never had to test the full limit of their claim, but I did wear these boots in -36C wind chill conditions. After about 40 minutes outside, mostly standing still, my feet were completely insulated from the cold. I’m sure there are even warmer boots on the market, but its hard to imagine when you’d ever need them. These boots are seam sealed, and the foot shell is made from vulcanized rubber while the upper is waterproofed nubuck leather. For all intent and purpose, the bottom is an old fashioned “rubber boot”. I haven’t yet found a puddle deep enough to test the upper, but I have trudged through 4 inch deep puddles of icy water and slush and they were no match for the Caribou. With a 9 inch shaft height, snow infiltration is almost never an issue either. 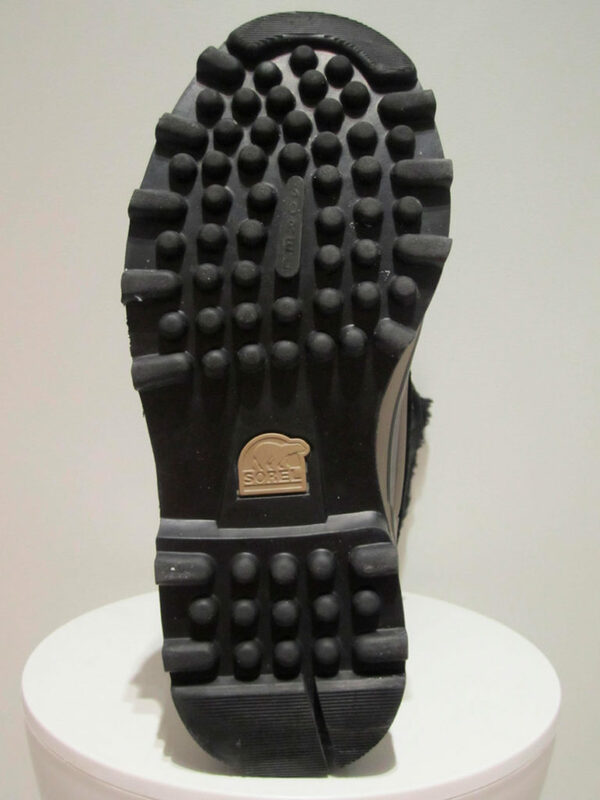 Sorel calls the outsole pattern “AeroTrac”, I just call it “good”. The rubber treads grip well in all conditions and traction doesn’t deteriorate noticeably in colder conditions. These boots run true to size, perhaps slightly on the large side. The last is quite wide, which could be a problem for individuals with narrow feet. The generous fit, combined with the soft, cushioning of the felt liner give this boot the comfort of a slipper. On the down side, that same cushioning limits structure and arch support. This combined with the thick sole means that you don’t get a very good feel for the terrain beneath your feet. At 37 oz, these boots are also on the heavy side, although not out of line with comparable products from other manufacturers. These boots are easy to put on and easy to take off. The large metal eyelets make lacing up the boots a breeze. I was concerned that the felt liner might pull out every time I took the boot off, but that hasn’t been an issue at all. The liner can also be removed for quick drying, if necessary, and you can buy replacement liners directly from Sorel if they wear out. Beauty is in the eye of the beholder, but the Caribou’s style is a classic. You can wear your pants tucked in deeper snow, or over the boot for more of an urban look. You won’t exactly stand out in the crowd, but you really can’t go wrong with this time honored look. In case you haven’t guessed by now, I’m a big fan of these boots. No, they’re not the lightest, or the most stylish, or the most technical boots on the market. They are, however, everything you want in Winter boots. Impervious to cold, impregnable from water, they simply make harsh weather a non- factor for your feet. 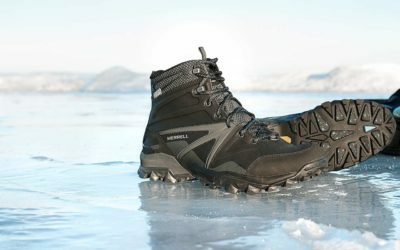 For further tips on finding your ideal winter boot, check out Altitude-Sports winter boot buying guide. There is 1 thoughts on this article titled “The Sorel Caribou Review”. My Winter boots are Sorel as well…indeed, I rely upon two different pairs of them. 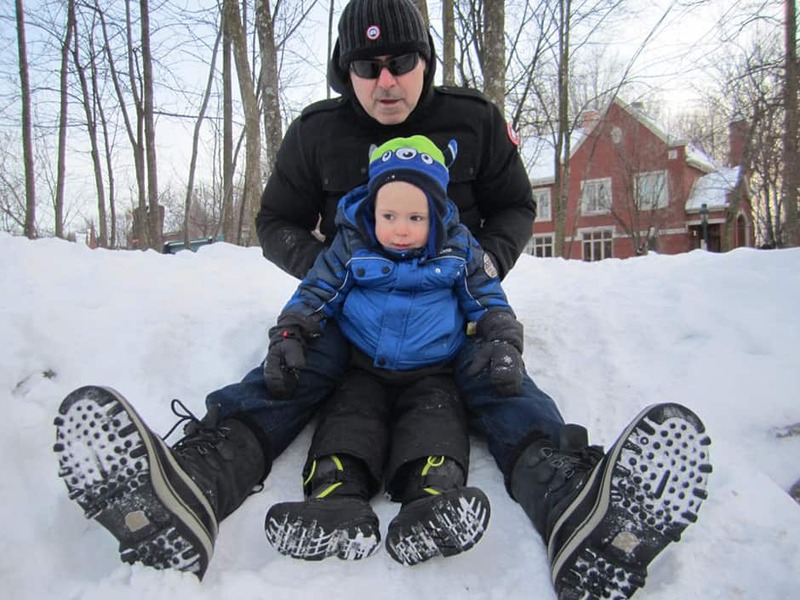 My primary Winter boots (in support of snow and severe cold weather) are my Sorel 1964 Premium T Leather Boots, which are rated by Sorel down to -40*F temperatures. My secondary pair of Winter boots (also for snow and cold weather, but less so) are my Sorel Cheyenne II Chelsea Boots, which Sorel rates down to -25*F temperatures. In truth, although I consider my Cheyenne II’s as my secondary pair of Winter boots; I simply wear them more often than my 1964’s as they’re more appropriate footwear when considering the weather that I’m most often confronted by as apart of my environment and the fact that they’re simply easier to live with during most Winter weather instances (picture trips to the mailbox, errands to the store, brief to-do’s around the property, and the Cheyenne II’s slip-on / slip-off / no laces wear properties). Yet, rest assured, there’s NO chance of my getting rid of my 1964’s based upon those rare days when I actually need them. The bottom line is that both pairs of these boots have performed wonderfully well in cold weather up until this point, to include sub-zero temperatures. 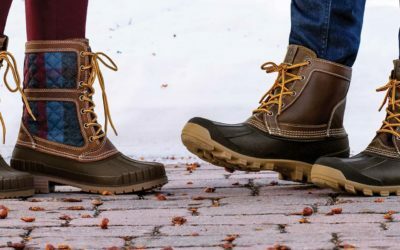 Naturally, the addition of things like felt insole liners and a good pair of wool socks are also paramount in terms of adding to the capability of any Winter boot. I give a “thumbs up” to both pairs of these boots and I’m quite pleased that they’re both parked within my boot locker awaiting their next deployment into the frozen world.